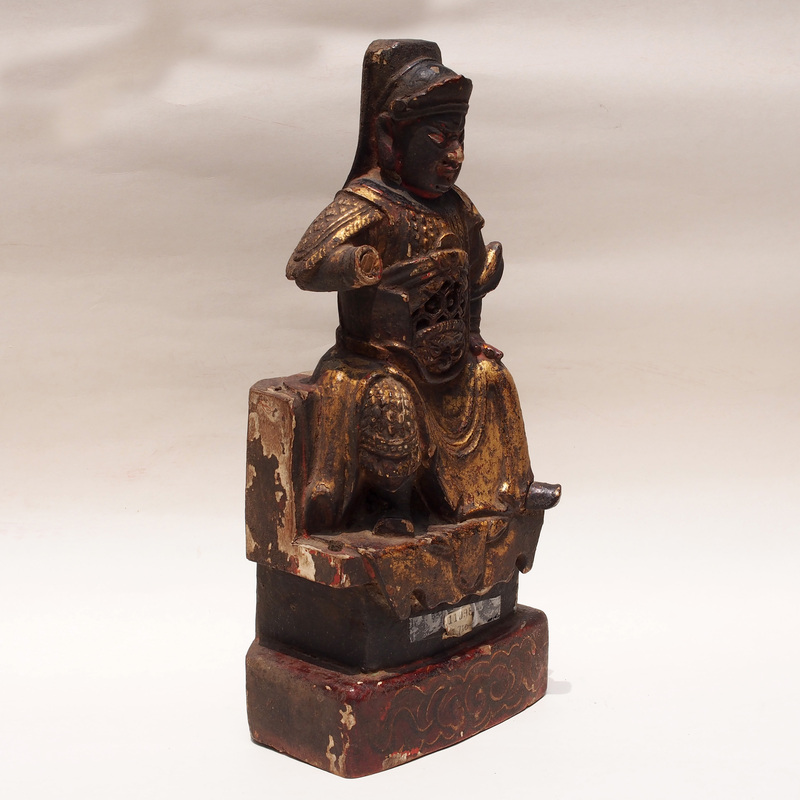 This is a figurine of Bei Di, who is the Prince of Shang dynasty. In a dream, the Queen swallowed the sun and felt pregnant after 14 months Bei Di was born. Though being the heir of the kingdom, he was more interested in meditation than in the power he was born into. Finally, he left his parents and went to Wu Dung to study Taoism. After 42 years, he was sainted by the Jade Emperor. It is also believed that he is the 82 reincarnation of the Tai Shang Lao Jun. There are several Bei Di temples in Hong Kong which is well worth visiting. There is one in Wanchai, Sham Shui Po and Cheung Chau.